I had been working on arched shapes suitable for sea world characters for a while. I collected a large number of failures so I put the idea aside until I made a sketch of a whale on a rainy afternoon. That was Lisa, she was adorable and I could not try and make her straightaway. I was so happy with her curved body and smiling face at the end. 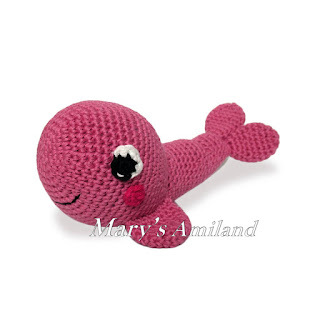 Is she not the cutest whale in the Amigurumi World?